Sumner is over, time to put away the shorts and get back into those jeans. Let's face it, we all want to look great in our jeans. There is nothing worse than a poor fitting uncomfortable pair of jeans. Jeans that tend to show each and every flaw that we hope to ultimately to camouflage. Such as the muffin top or overly large thigh area. 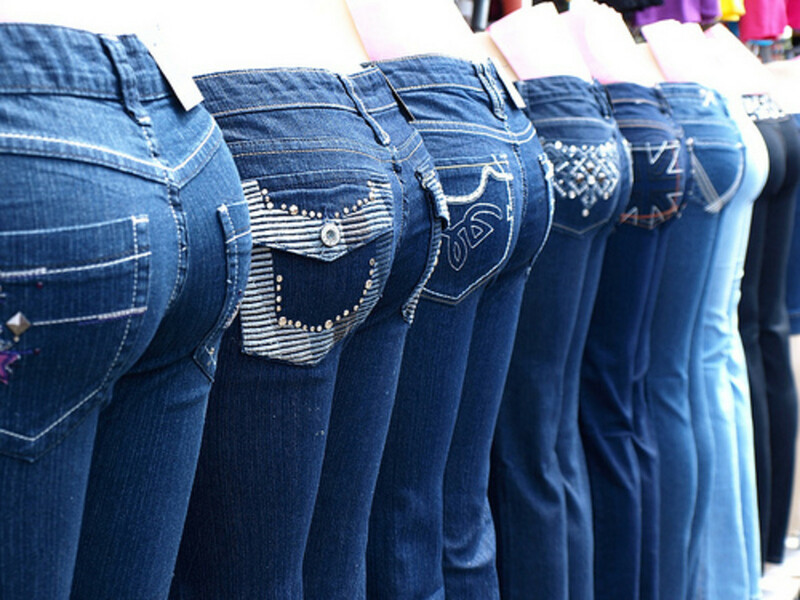 Here are some helpful tips that may help you find that perfect pair of jeans. Jeans that will work for you, and your body type. Plus, will actually make you look slimmer. So, how does one go about finding that perfect fitting pair of jeans? A pair of jeans that will flatter your individual body type, and naturally work to make you look slimmer. First, you have to know your body type. Plus, you need to understand some simple rules that can actually make you appear slimmer in jeans. Think visual perception, do the clothes you wear really fit and flatter your figure type? The most important concept of looking good in jeans is a good fit. First, choose a size that truly fits your body type. Don't let go up a size or down a size scare you when trying on a pair of jeans. All jeans aren't created equal and manufacture varies when sizing there product. The next concept to consider is what style of jeans look best on your body type. In short, you've got to take a good long look at your body. Get to know your body type, and learn what will flatter your particular frame. Balance and Proportion is the key to making your body look good in anything you wear. It's smart to keep an open mind when shopping for jeans. Don't make these guideline stop you from the try on lots of styles. However, do try on the suggested style first, and make sure to try several brand names. All brands are not equal, remember going up or down a size may just help you find a perfect fit. So, you may just fall in love with a pair of jeans that is out of your suggested body type-style. They look great, and are comfortable! If they look great, then you must take the plunge and purchase! On the other hand, If you fall in love with a pair of jeans that just don't fit, you must admit it and walk away. In any case stay clear of any jeans that give you overflow at the waistline. Muffin top is so unattractive, as well as uncomfortable. Be aware of what's behind you! Back pockets can reflect the size of your 'Bottom". Both the placement and size of a pocket can have a great effect on how well your backside looks walking away. What to avoid. Avoid tiny pockets as well as pockets that are set too far apart. Pockets such as these wills make your backside look "fat". Pockets that are added lower on the jeans will tend to make your bottom look higher. Another good tip, don't overdo the embellishments. The faded rear also is hard to pull off, it can stand to draw attention to your backside. So ask yourself, "do I really want my but to stand out? " Choose pockets that are medium in size, and sit a bit closer to the waist. This will gives a lifted look. Boot-cut, and flared jeans give a long and lean look, which is flattering to most women.The ideal body type to pull off boot cut jeans. Tall, thick middle, boyish body figure. Flare legged jeans, are you long and lean? 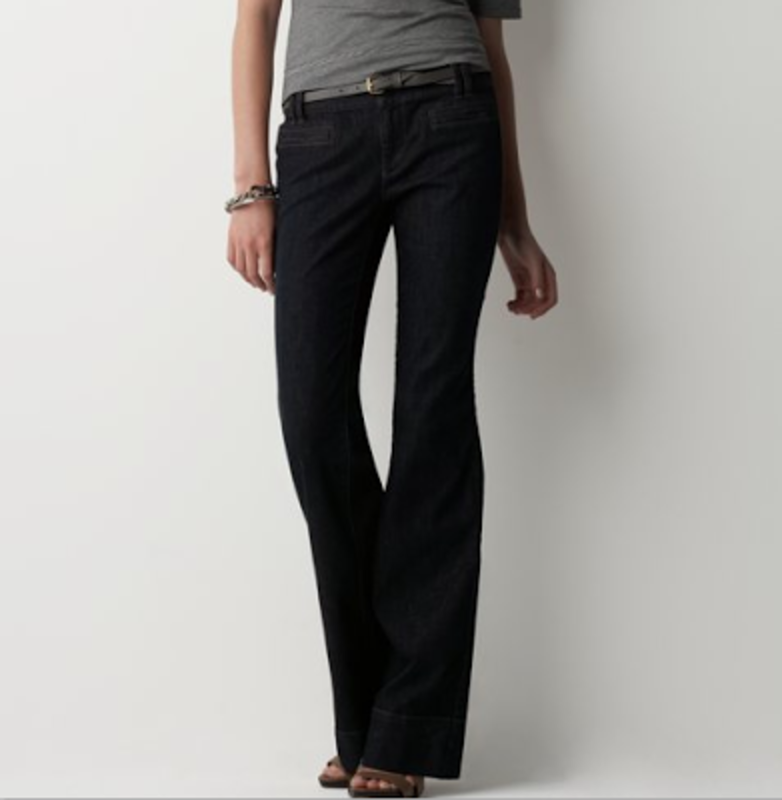 Flare legged jeans really look best on the long and lean body frame. 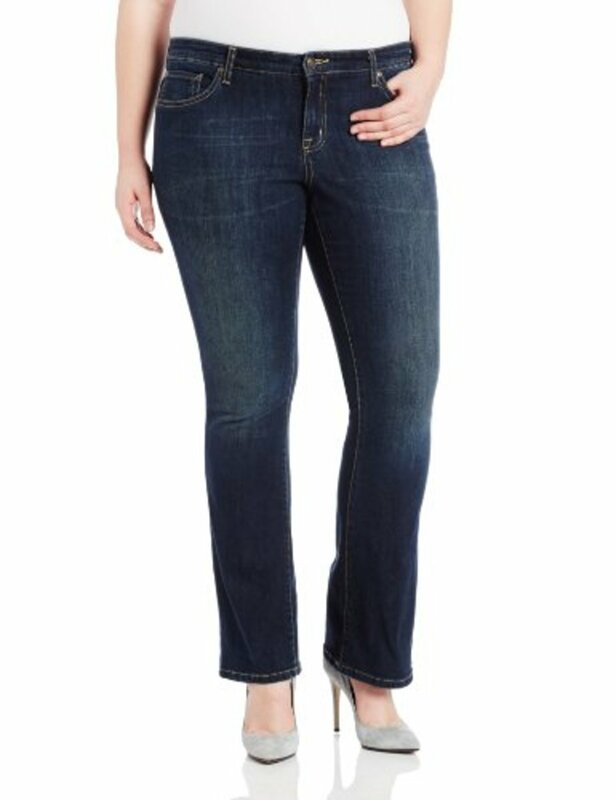 If you are on the short side, these jeans will add weight, and deduct inches from your height. 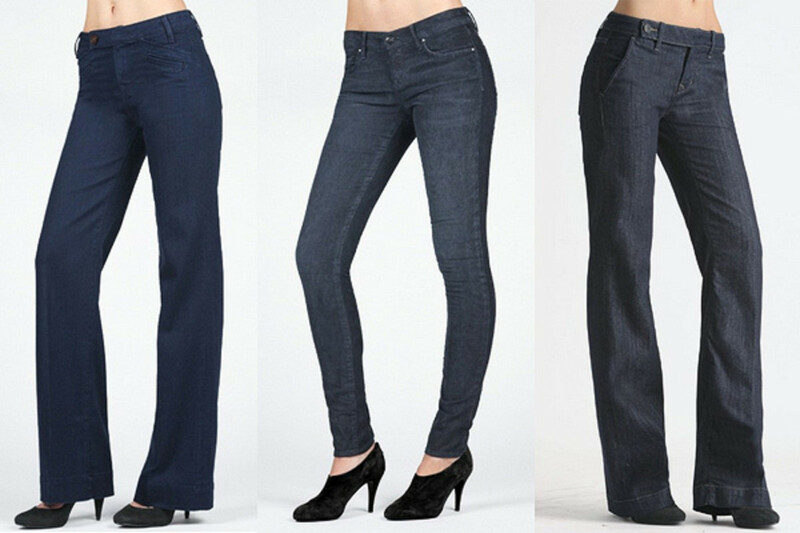 The ideal body type to pull off flare legged jeans - Slim, boyish body shape or tall. Skinny jeans are great jeans, and most girls can wear skinny jeans well.Ideal body type to pull off skinny jeans - Petite, slim boyish shape, tall and well proportioned. Just a few great brands to consider: "Seven For All Mankind" five-pocket bootcut jeans, "J.Lo by Jennifer Lopez" jeans with pocket-free back, "Calvin Klein" basic-fit jeans, "Parasuco" basic stretch five-pocket jeans, "Bisou Bisou" basic-fit jeans, "XOXO" basic-fit jeans. Trouser jeans, this style is a good try on starting point when you shop. 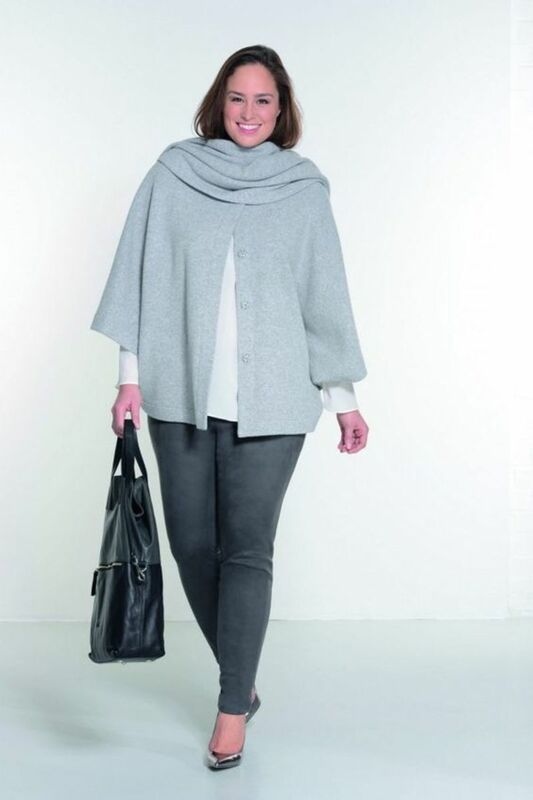 Trouser jeans are one of the most flattering jeans for all shapes and sizes. Tip: Cuffs are great on some body types, but the shorter girl should avoid cuffs. If under 5'5" stay away from cuffs, they will make your legs appear shorter. Ideal body type to pull off classic trouser jeans. Slim, petite, thick in the middle, curvy, boyish. tall. Just a few great brands to consider: - AG Angel Roxy, Lee One True Fit Flare Jeans, Not Your Mothers Jeans Tummy Tuck Jeans, City Girl's Suddenly Slimmer Jeans, Perfection Jeans, Apple Bottom Jeans. Plus-Size jeans are now being made in all styles. 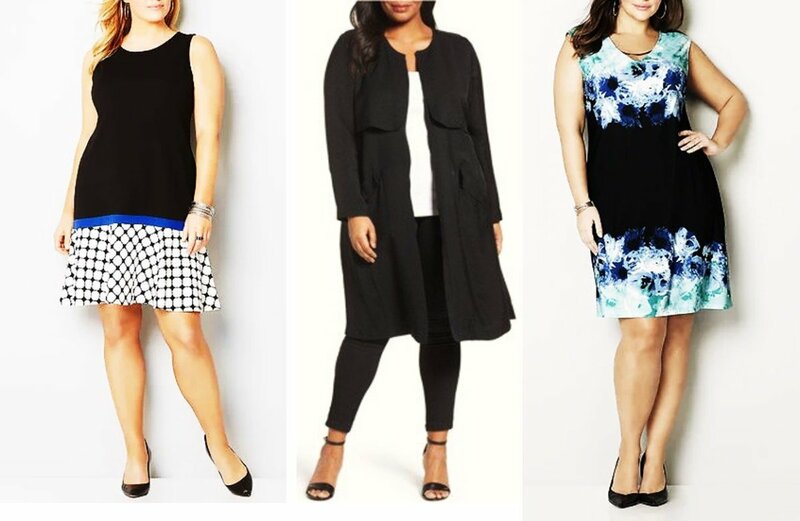 The plus size girl should try on every style, there is one that will flatter all your curves Boot-cut, straight or trouser may do the job. Just a few great brands to consider: Express precision-fit jeans, Lane Bryant Venezia stretch boot-cut jeans, Zana di Bedford cord jeans, Avenue classic denim jeans, Tommy Hilfiger boy-front bootcut jeans, Faded Glory classic-fit jeans, Land's End relaxed-fit jeans, *L.L.Bean wide-leg jeans, Gap's Long and Lean, Not Your Daughter's " Tummy Tuck Jeans". 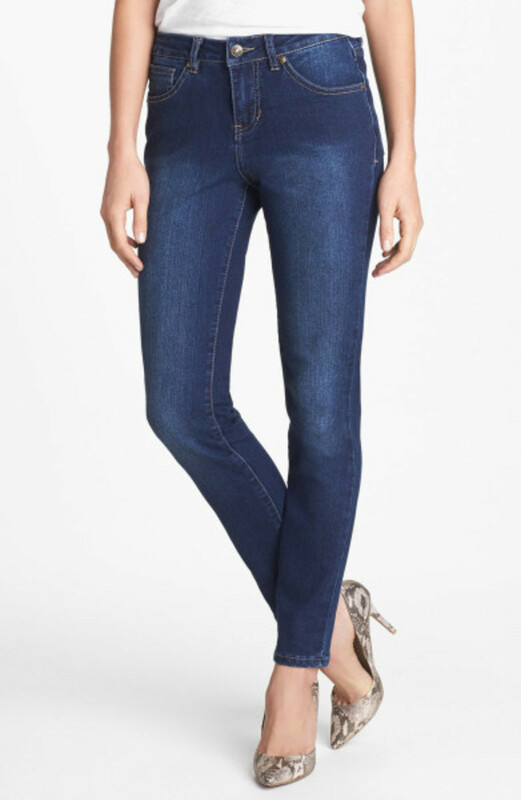 Straight-Legged jeansIdeal body type to pull offs-leg jeans - Slim, curvy, tall, thick Middle, boyish, petite. 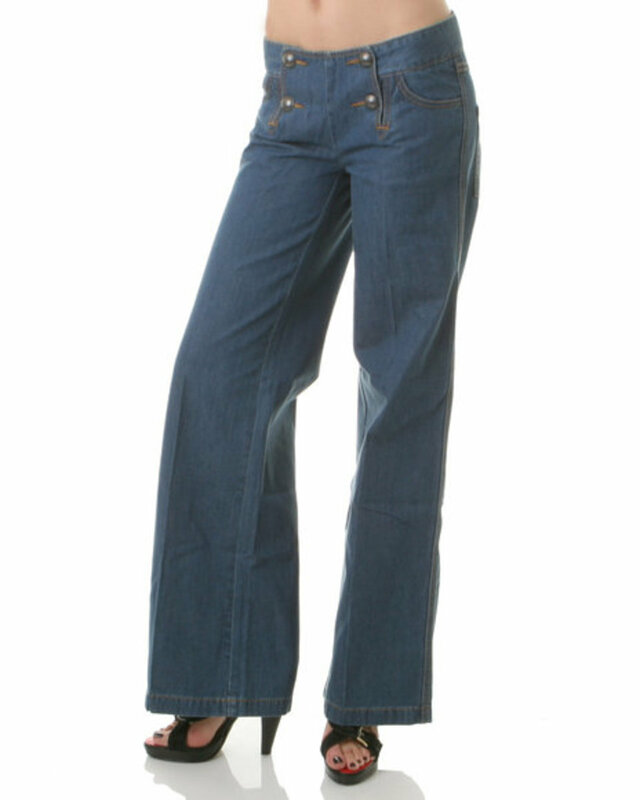 Wide Leg Jeans... Do you have a tall boyish figure? Wide-Leg is a bit hard to pull off on anything but the tall slim body shape... Curvy girls should stay away from the wide legged jeans, this line will add weight, and make you appear shorter. Ideal Body Type - tall, boyish or slim. Do you have a hard time finding jeans that fit your body shape? 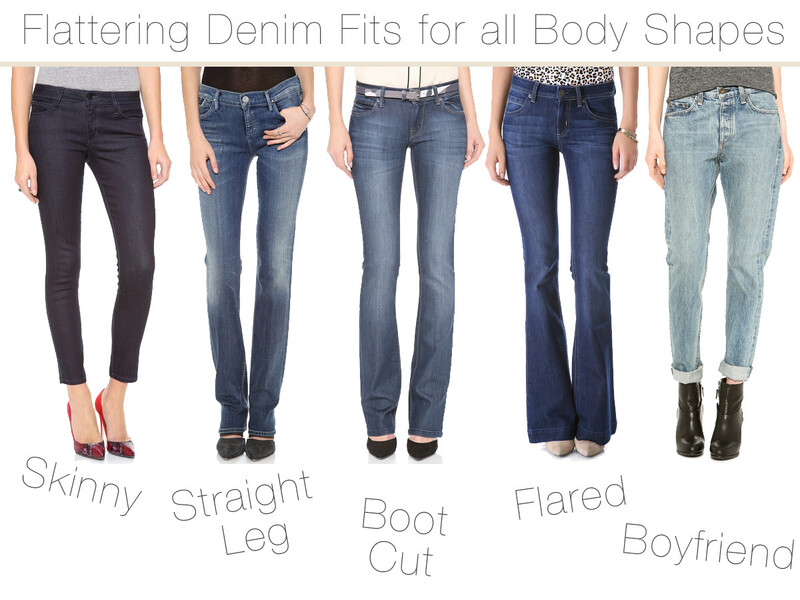 Do you think you might just use one of these tips - when shopping for your nevt pair of jeans? No I most likely won't use this advice. Hope you enjoyed your visit enough to leave a bit of feedback - Have a favorite brand of jeans you can share with my readers? I would like to FEATURE your lens in my "Jeans" section of my my Fashion Lens! You can join and I will be sure to feature your lens specifically.